Dubai, United Arab Emirates From- March 31st 2019: April 1 to 3, 2019, Business France is organizing the first French Tech Tour United Arab Emirates in partnership with French Tech Dubai UAE. AMADEUS, leader in travel solutions that shape the future of travel, is the official partner of this tour. A real technological road show and three-day commercial accelerator between Dubai and Abu Dhabi, this meeting will take place on the sidelines of the Future Technology Week. The French Tech Tour will feature B2B exchanges between 5 innovative French companies and the major Tech incubators in the United Arab Emirates such as Dubai Technology Entrepreneur Campus (Dtec) and Abu Dhabi Global Market (ADGM) or investment funds. 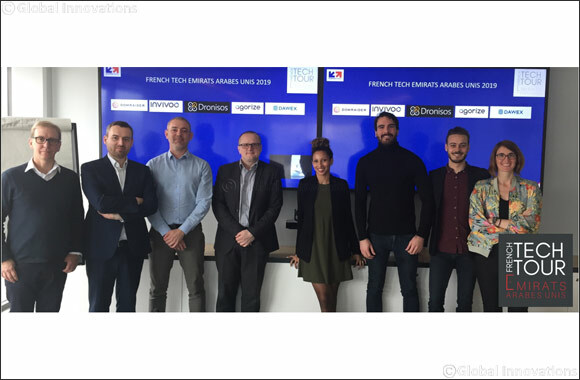 The 5 French startups that specialize in the fields of Blockchain, Open Innovation, Fintechs, data exchanges, or the IoT were selected in advance for their technical skills and potential. In Dubai, participants will be able to visit the trade fairs of the Future Technology Week 2019 , www.futuretechweek.com, which are the unmissable trade fairs for Blockchain, cyber security and IOT technologies in the Near and Middle East, around the main theme of 'Igniting Innovation'. They include the main players in the sector with more than 12,000 visitors and 170 exhibitors last year. The United Arab Emirates is pursuing one of the most ambitious digital transformation programs ever undertaken to make the country's major cities the 'Smartest' in the world. The main advantage of the French Tech Tour is to present French expertise to the region's leaders and investors and to enable participants to enter these dynamic opportunity-rich markets or to increase their presence. In addition, a networking event is planned for April 1 in Dubai to allow these startups to exchange ideas and develop special contacts with local operators.